This morning was a great time for us, the sky is blue, no Wind and direction looks good. The most important here is the Wind direction, we can only flight from the field (how is located on mid-top of montain) to the east valley, all others directions are tropical forest or power lines and no places for landing. 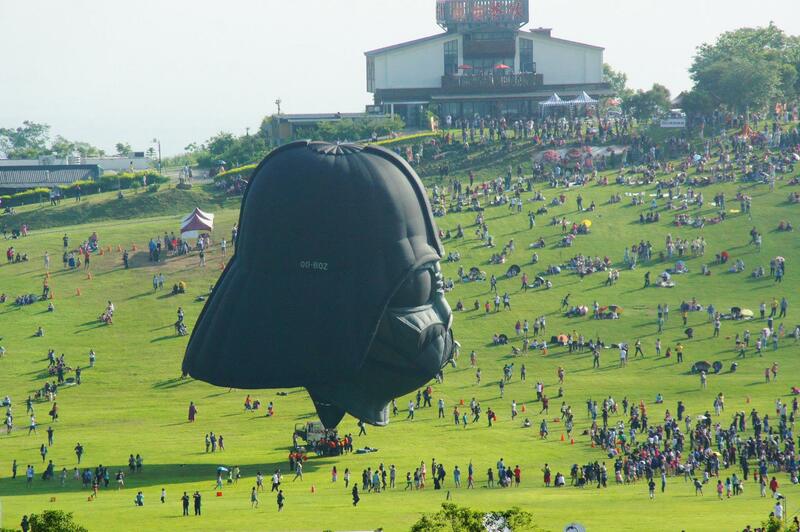 Around 7.0am, 18 balloons take-off, the Darth Vader Balloon is not flying in this festival, to avoid landing problem like last year. By two times, the balloon was going to the forest and with the Force, we were able to come back to the field for save landing. Two of us flight his morning 2 différents balloons.